As we all know the food is very essential for our body. It has the ability to maintain the body health. In the previous blogs, we have discussed about Fruits with the Antioxidant property, 2 Apples can prevent major health risks and Top 4 plants that can prevent health hazards. Plants are the major source of food for any living being. They provide the essential nutrients and benefits to the body. But here are some of the foods which not only benefits the body parts but also resembles the body parts. Here are few such foods that not only looks similar to the body parts but also benefits the body parts. After reading this article you will definitely say "Nature is so creative and artistic". Carrots are one of the most popular and most commonly used vegetables in the world. They can be eaten raw, cooked or crushed into juice. Regularly consuming carrots or carrot juice benefits the body in so many amazing ways. It is very important for your eye health. You can also observe when it is cut horizontally, it resembles the eye. Eating carrots carrot juice regularly will help you maintain healthy eyes and vision throughout your life. Instead of consuming carrots in raw form, you can drink carrot juice that carries the same eye health benefits. It contains three very important nutrients named beta-carotene, lutein and zeaxanthin. Carrots contain vitamin A in the form of beta-carotene. Vitamin A is one of the most crucial nutrients necessary for protecting eye health and vision, especially as someone ages. These nutrients present in carrot can cure various forms of eye disorders including macular degeneration and even blindness. Lutein and zeaxanthin are capable of reducing the risk of age-related vision loss. 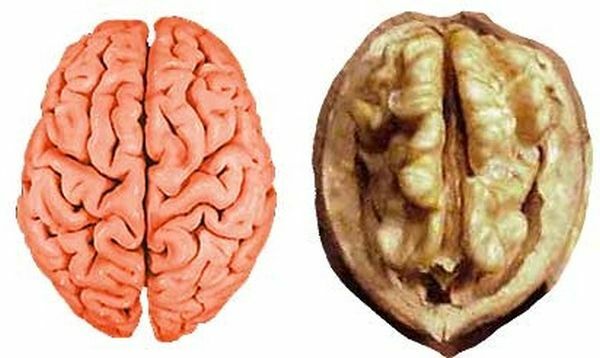 Have you ever noticed that a walnut resembles the human brain? Yes. It not only resembles the human brain but also benefits the brain. Walnuts nutrition has the ability to support the brain. It has been scientifically proven to be a true “brain food” and a leader among all nuts. The omega-3 fats present in Walnuts are important for supporting memory and thought process. Due to lack of essential omega-3s, many people suffer from higher incidences of depression. This includes age-related conditions like dementia, Alzheimer’s disease and other memory impairments. Omega-3s support correct brain function. There is biological evidence of low levels of omega-3 fats contributing to depression as well as a number of other behavioral and cognitive disorders. Walnuts work as a natural remedy for depression, considering that essential fats are directly used to create cells’ outer membranes and help with neurotransmitter function. Omega-3 fats help to form the soft, fluid outer-lining of cells that gives them the ability to communicate with each other. Tomato is a common fruit used as food. People assume it as a vegetable as it is used with other vegetables for cooking. But scientifically it is a fruit. It can be either eaten raw or cooked. It can also be crushed into juice and consumed. Most of us have seen this fruit and have used it normally. Have you ever felt that it resembles heart? Yes, it resembles the human heart. If you cut the tomato, you find different chambers inside it. Similarly, there are chambers inside the heart. Apart from the resemblance, the tomato is very beneficial to the heart. Tomato contains antioxidants, especially lycopene which is known for fighting free radical damage and protect the heart against oxidative stress. This provides protection related to heart disease and lowers the risk for heart attacks or strokes. Research has found that treatment with antioxidant-rich tomato extract can also reduce high blood pressure, lower cholesterol naturally and improve blood vessel health. Ginger is one of the very useful plant parts when it comes to medicine. It has a very prominent role in the field of Ayurveda. It has the ability to cure many common health problems. If you look closely, you’ll see that ginger has a similar shape to the stomach. Not only shape, it can cure many stomach related problems. 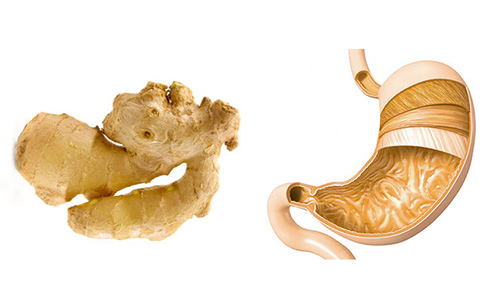 Several studies have found that ginger could help prevent the formation of stomach ulcers. Stomach ulcers are painful sores that form in the lining of the stomach and cause symptoms like indigestion, fatigue, heartburn and abdominal discomfort. Ginger is well-known for its ability to treat nausea, a sensation of unease and discomfort in the upper stomach. One of the most impressive benefits of ginger is its anti-cancer properties. The presence of a powerful compound called 6-gingerol is responsible for blocking cancer cell growth and development for ovarian, pancreatic and prostate cancer. Thanks for information, it will help to maintain our health as food is very important for us .